In October 2017 production for Sony Lithium Coin Cells (CR126, CR1220, CR1616, CR1620, CR1632, CR2016, CR2025, CR2032, CR2430, CR2450, CR2477) was transferred completely to Murata. The same facility, equipment, and people still ensure the same quality and reliability customers have come to expect with the only difference being the logo on the coincell. 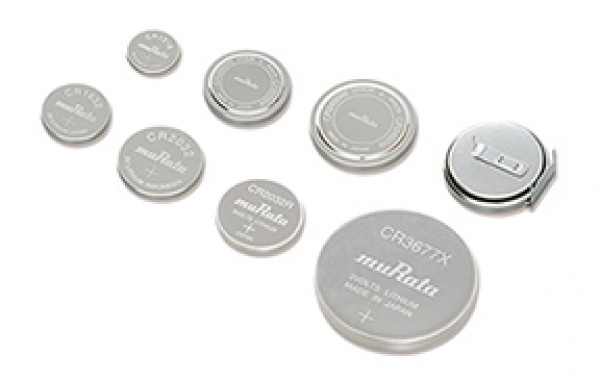 Daitron offers bulk packaged Murata coin cells in standard and tabbed models. We are the North American stocking distributor of bulk packaged Murata lithium coin cells to meet your most demanding needs. These batteries are used in applications such as RFID tags, calculators, blood glucose monitors, PCB and small micro RF devices. Daitron can stock and supply any quantities desired to eliminate long lead times from the factory. 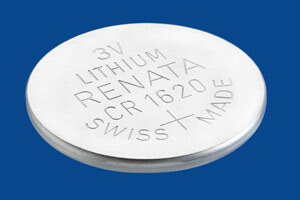 Daitron offers bulk packaged Renata lithium coin cells in standard and tabbed models Renata lithium coin cell batteries are manufactured in Switzerland and are used in applications such as RFID tags, calculators, blood glucose monitors, PCB and small micro RF devices. Daitron can stock and supply any quantities desired to eliminate long lead times from the factory. For a list of Renata's lineup, please see the table below. Lithium batteries are being used in a broad range of applications, from quartz watches and clocks, a backup power sources for IC memories requiring long-term reliability over 10 years to PC motherboards, PDA and car keyless entry systems, and active RFID tags. The market for lithium batteries is, therefore, rapidly expanding. Within this diversifying field of electronics, Sony is developing and producing lithium batteries from a new perspective: it is fulfilling market needs while accumulating data on discharge characteristics, long-term reliability, and safety characteristics of batteries. Contact us or call directly toll free in the USA at 888-324-8766.